In the angst-ridden quest for an ethical cut of meat, conscientious consumers, voting with their forks, have deemed Niman Ranch the paragon of animal compassion. The reputation seems well deserved. Niman’s welfare standards, initially approved by the Animal Welfare Institute (AWI), were once among the world’s strictest. AWI certification requires producers to follow stringent regulations designed to enhance a farm animal’s quality of life. An AWI-approved pork chop, for example, comes from a pig that was never crated, never pumped with growth hormones, never tail docked, never affixed with a nose ring, never transported, and never denied easy access to a verdant pasture. Niman Ranch, however, abandoned AWI standards several years ago. As demand for humanely raised meat increased, supply lagged. To bridge the gap, Niman (according to an anonymous source) supplemented its responsibly supplied meat with meat sourced from large-scale industrial producers. This decision abruptly ended Niman’s relationship with AWI, which refuses to certify industrial feedlots. If Niman Ranch hoped to sustain its reputation, and maintain profitable relations with companies such as Whole Foods, it would have to acquire new certification. To do this, it turned to Global Animal Partnership (GAP), a welfare certifier supported by the Humane Society of the United States and Temple Grandin, the noted animal behaviorist known for her book Animals in Translation (and her autism). GAP quickly complied with accommodating labels. It’s tempting to see this change as an innocuous, if not a positive, turn of events. Grandin, for example, is widely respected for her unique insight into animal minds. But GAP and Grandin are no AWI. Most notably, they routinely certify–one might even say cater to–factory farms. In so doing, they not only undermine the strict welfare standards of a certifier such as AWI, but they perpetuate an insidious paradox. In certifying industrial farms with a humane label, they empower big agriculture to capture niche markets once supplied by sustainable farms–farms that already treat their animals with relatively high standards. Welfare labels, as they now operate, are thus not only useless, but may ultimately cause more animal suffering than they prevent. American Humane. AH was founded by Tim Amlaw. Amlaw came to the business of welfare certification by way of the cattle industry. American Humane Certified has been described by one Canadian watchdog group as “the worst of the worst,” doing little more than providing industrial farms with “a meaningless label conferring a meaningful marketing advantage.” The AH label is extremely popular with chicken farmers hoping to avoid pasture requirements. American Humane doesn’t believe pasture time is essential to animal welfare. It never audits the slaughterhouses that process its animals and it places no limits on how far animals can be transported (a terrifying experience for all farm animals). AH is the bottom of the barrel. Certified Humane. This label, offered by Humane Farm Animal Care (HFAC), holds equal appeal to industrial producers, largely due to its tacit allowance of farrowing crates–cruel confinements that prevent sows from moving enough to even roll over–and for its lax pasturage standards (CH beef can be fattened in feedlots). CH does not require outdoor access. Its meat is processed in industrial slaughterhouses and, as a result, the label allows the unlimited transportation of farm animals. CH audits its slaughterhouses, but only to ensure that they meet American Meat Institute standards, which were designed with industry oversight in 1990 by none other than Temple Grandin. Global Animal Protection. Mentioned above, GAP has a five point rating system that offers something for everyone. A rating of 1 is all a producer needs to achieve to earn the label. This rating allows for intensive crowding, minimal access to pasture, castration without anesthesia, and nose ringing for pigs (a painful procedure that prevents them from rooting up pastures). Every other GAP improvement (2-5) is elective. Standard 1 is so lax that its packing density requirement for cattle (250 sq/ft per cow) is less than that of the cattle industry itself (350 sq/ft). Four out of GAP’s nine board members work in industrial agriculture. Whole Foods, which helped initiate the 5-point system, is the most famous retailer of GAP certified meat. These dominant certifiers, in bed with industry, stand in stark contrast to certifiers that refuse to lend legitimacy to industrial farms–organizations such as AWI, Britain’s Soil Association, and previously Canada’s PGI, a stringent certifier that walked away from certification because of widespread cheating across the marketing group. These stricter certifiers are insistent that, as one representative told me, “certification has done nothing to break the stranglehold of industrial farming.” Smaller certifiers have every reason to be spiteful. When AWI fired Niman, it lost over 500 farms. The reason is simple: there’s no oversight. The growth of industrialized farming has been made possible by the total lack of governmental regulation of animal welfare. In the 1990s the livestock industry, under pressure from welfare groups, established voluntary guidelines for producers to follow. These regulations were duly ridiculed. Further pressure came in the early 2000s, with the publication of Eric Schlosser’s Fast Food Nationand Michael Pollan’s The Omnivore’s Dilemma. Industry responded this time by seeking third-party certification. 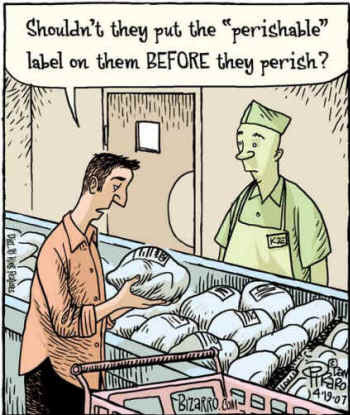 However, if the growing popularity of labels from certifiers such as American Humane, Certified Humane, and GAP are any indication, this solution is equally ineffective. Fact is, it’s worse than ineffective. What we now have is business as usual parading under the banner of righteous reform. When consumers see a “humanely raised” label they think they’re getting “happy meat.” All they’re really getting is a dose of slick marketing. Genetics. The Virginia farmer Joel Salatin was made famous by Michael Pollan in the Omnivore’s Dilemmafor his system of rotational grazing. Salatin strikes me as half-nuts but his farm has captured the attention of the food movement. Chickens fertilize pastures, pastures produce vegetables, vegetable waste feeds chickens, foodies spend big bucks. But there’s a catch to Salatin’s scheme, one Pollan neglected to mention: he uses birds that were bred to live in industrialized settings. You can’t take the narrow industrial genetics of poultry and expect the birds to do well in an open environment. These birds–mostly Cornish X’s– suffer a long list of health problems (namely bone fractures) because they aren’t “designed” to move about as their wild ancestors once did. The genetics and the environment don’t match. A genuine government welfare program would take into account this factor, rewarding farms that paid attention to adaptive genetics as they moved to open-pastured arrangements. Enriched Environments. Farm animals adapted to free movement require more than space. They need enriched space–something, as my previous post suggested, we may not be able to accurately provide. Even a strict certifier such as AWI believes that access to the outdoors is enough to keep, say, a chicken happy. But this is incorrect. Animal ethologists are quick to note that chickens, especially heritage breeds, require shade and shelter to behave as they normally would under natural conditions. To be comfortable they need places where they can seek shelter from predators. A free range pasture without trees that chickens can hide under or roost in, or pastured pigs out on the range without enough material make paddocks–both common arrangements–can lead to animals that are just as confused and tormented as they would be under intensive industrial conditions. This factor, too, must be taken into account. If these prescriptions for welfare labeling overhaul sound impossible to achieve, well, yeah, that’s kind of the point. The act of raising, killing, and commodifying sentient beings capable of feeling pain and pleasure is so ethically complex that, should we truly take farm animals’ welfare seriously, we’d be looking at a task as complex as anything the government has ever attempted. There are, and thankfully always will be, people who evaluate the situation as it now stands and quit eating animals. However, given the reality of the western diet–that is, given the endless depth of our dedication to eating meat–we have an obligation to think seriously about establishing a legitimate welfare label. Should we continue to brook the unregulated welfare designations that are growing in popularity, we’ll only fuel the industrial beast that caused all this suffering in the first place.